Einstein's Theory of Relativity predicts that light rays deviate from their straight path when passing close to a massive body, the phenomenon called Gravitational Lensing. Over the last few decades the status of Gravitational Lensing has been raised from that of a theoretical speculation to a precision measurement. It can be used for the detection of exotic objects as well as for testing alternative theories of gravity. Indeed, it can be used now to establish the concordance of a given cosmological model. In this thesis we have applied Gravitational Lensing in the above spirit. Though most cosmological studies of Gravitational Lensing are performed in the weak-field approximation of General Relativity, there exist interesting astrophysical situations where light propagates in a strong gravitational field, such as the vicinity of a black hole. Strong fields can exhibit additional effects on the light propagation which do not exist (or vanishingly small) in the weak-field approximation, and the basic theoretical formulation underlying it is necessary. 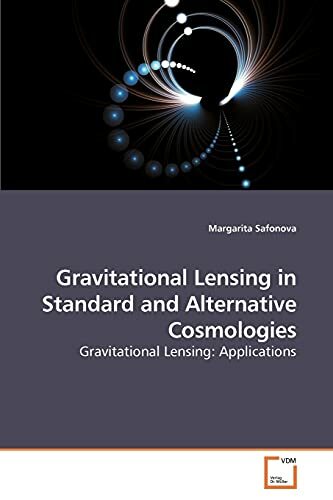 This thesis presents the basics of Gravitational Lensing, describes directions of future research and could be useful to students. Margarita Safonova has two M.Sc. degrees (Physical Chemistry and Theoretical Physics) and a Ph.D. in Astrophysics. Her research interests include detection of black holes by gravitational lensing, general relativity and UV astronomy from space. For the last five years she is working at the Indian Institute of Astrophysics, Bangalore, India.